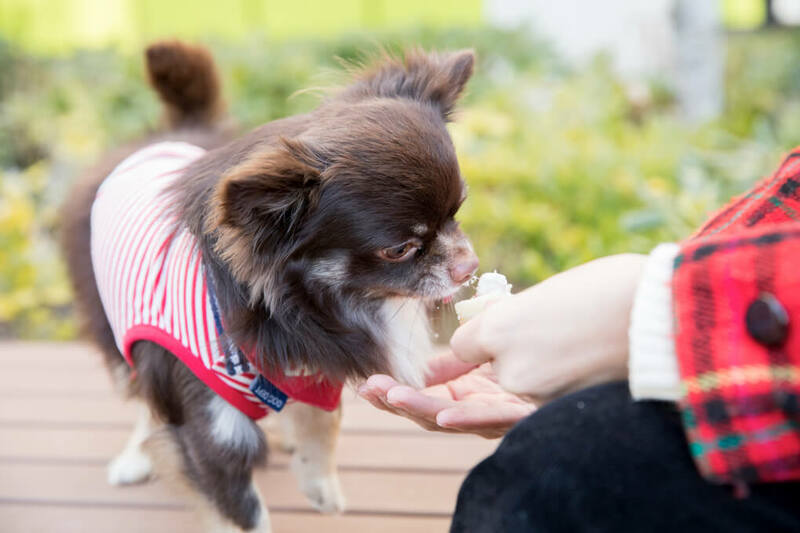 Yuna Yabe is a dog lover whose eyes are set on becoming a seasoned pet owner with her beloved pet dog Mozuku. 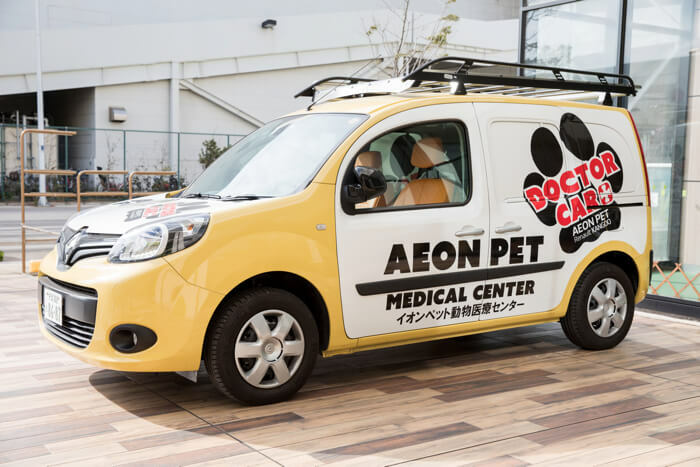 Continuing from where we left off in part one of this two-part article, Yuna will show us more of the Makuhari Shintoshin branch of Pecos, a huge pet store located in AEON Pet Mall! This is the “Doctor Car” for transporting pets. The original purpose of the car is that it’s an ambulance used for pet care during natural disasters. There’s even equipment inside for emergency first-aid treatment. 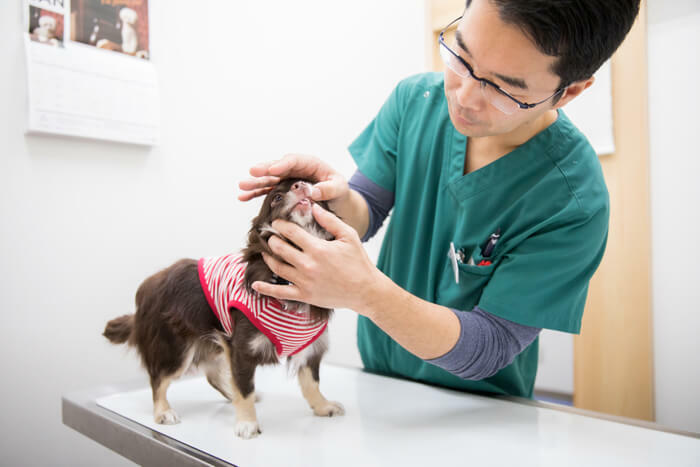 On normal days, it’s used for doctor’s visits and seeing injured pets. The showpiece of Pecos in Makuhari Shintoshin is the pool facility. 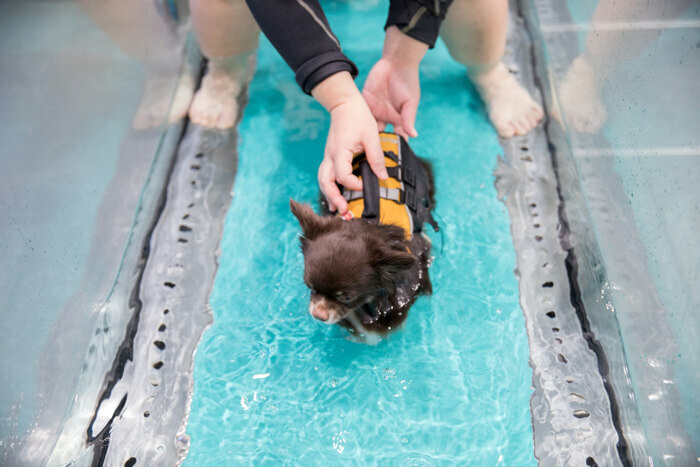 The aqua fitness service uses the water’s buoyancy and pressure to allow your pet to exercise in a short period of time in an efficient and low load manner. It’s highly recommended for rehabilitation after an operation and for tackling a lack of exercise! 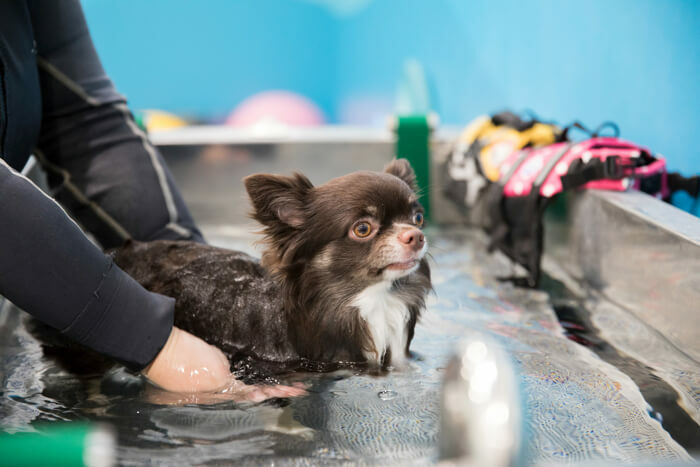 During the aqua fitness, a trainer will be there to look after your pet with the utmost care and attention, so you can feel at ease when handing them over. This was Mozuku’s first time in the pool. He had a worried look on his face while floating in the water, so the first thing was for him to get used to it with a shower and a bath. 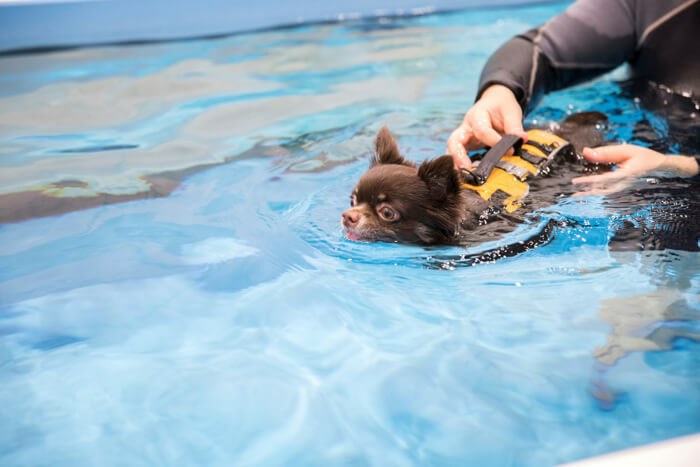 Your pup will wear a life jacket until it’s gotten accustomed to being in the water, so you can let them enjoy swimming without worry of them sinking. There’s also lots of toys for your dog to play with – perfect for helping them relax! Mozuku wouldn’t settle at first in this new environment, but he got used to the water straight away and showed off his dog paddling skills. 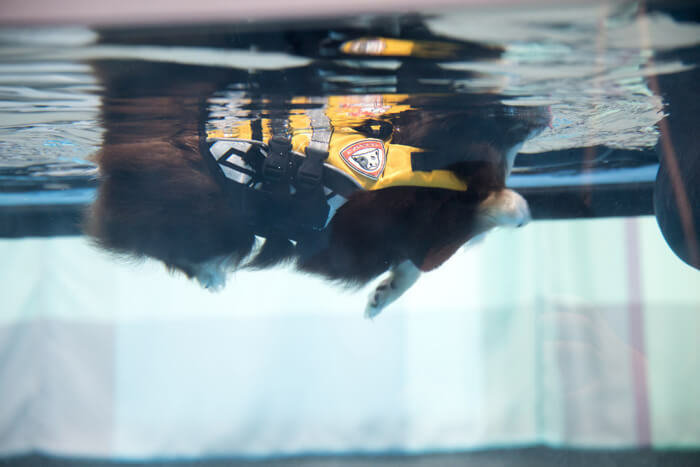 The water current in the pool is always flowing, so big dogs can enjoy swimming too. This is a treadmill that uses water resistance. It uses the flowing power of water but isn’t a burden on your dog’s body at all. It’s rehabilitation for walking. After a dip in the pool, it’s some for shampooing. The shampoo uses safe ingredients so it’s fine if your pup licks it off. This is the pet hotel, a super convenient facility for if you’re on a trip or going for some shopping. The hotel charges per hour, so you can even leave your dog in the hotel’s hands if you need to do a bit of quick shopping. 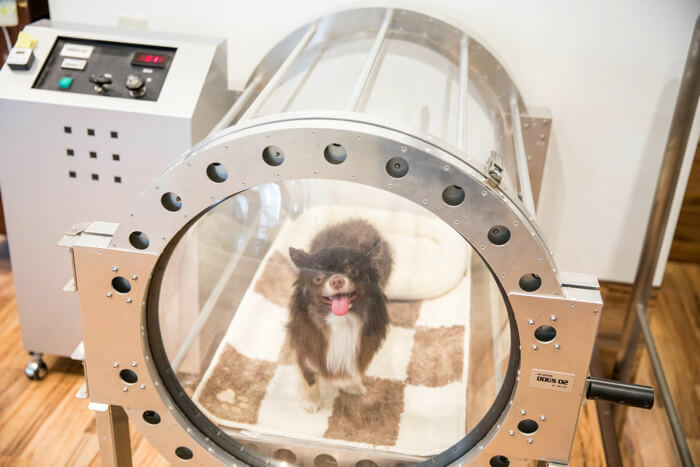 There’s even a beauty salon where your dog can get a trim or use one of the oxygen capsules! Mozuku refreshed himself in a capsule too after a swim in the pool. Yuna bought Mozuku a roll cake from a shop on the second floor for being such a good boy the entire time! There was quite a lot for Mozuku to eat, so Yuna helped him out. Pesco in Makuhari Shintoshin has it all when it comes to your dog. They even have a dog run in the facility, so you should go try it out when the weather’s nice for a stroll and some shopping!